Face of thredUP – Photo Contest! Do you have what it takes to be the next face of thredUP? 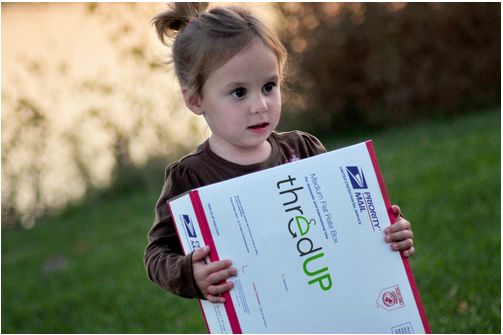 We’re on the hunt for greatphotos of moms and kids using thredUP. Send us a thredUP-themed photo and the winner will be featured as thredUP’s Facebook profile picture for a week in February! The more professional looking the better (great light, no clutter, high resolution etc.) and since we plan to use the winning photo for marketing purposes, we’ve increased the contest prize to a $50 credit. Good luck! When will the contest run? This contest will run from Monday, January 23 – Sunday January 29th at 11:59 pm EST. How do I enter? You can either post your photo to the facebook wall, tweet it (include @thredup in tweet) or email it to contests@thredup.com. Please include a caption! What do I win? The winning photo will be featured as thredUP’s facebook profile picture for a week in February. The winner will also receive a $50 thredUP credit. Who picks the winner? thredUP’s panel of judges select the winner each week. This includes thredUP Chief Mom, Carly Fauth, along with lifestyle experts and editors of the Daily Thred, Michele Adams and Gia Russo. What will you do with the photos? All entries may be selected as potential marketing images, which could appear on our website, in magazines, on blogs and more. Of course, we will ask your permission and get a written photo release form before we use any of your photos! Face of thredUP Photo Contest – WINNER! !